Our pediatricians are trained to meet a child’s treatment needs, our pediatric dentists are specialized to work with all your kid's dental needs. Pediatric dentists have to undergo a special training after graduation from dental school which includes hospital training where the dentist works in close proximity to multiple specialists in the field of medicine to properly coordinate a treatment plan best suited for the patient's individual dental needs. Pediatric dentists are trained to work with all behavioral aspects of children, constantly adapting to the environment to create a more comfortable & nurturing experience. 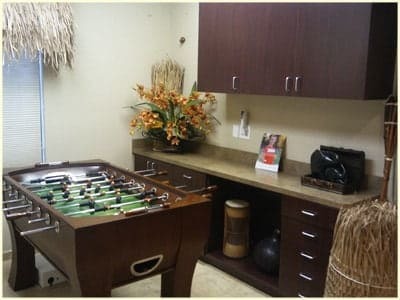 Their qualifications include treating children with special needs and those requiring sedation due to anxiety or for patients who are unable to be comfortable with certain dental procedures. Our doctors at the 'Brea Pediatric Dental Practice and Orthodontics' believe in educating the parents and providing preventive and comprehensive dental care to children of all ages. Our goal is to promote and instill in children good oral health in the present, so it will continue with them into their future as adults. We encourage you to bring your kids around their first birthday to provide a solid dental foundation that lasts a lifetime.